DRY GOODS: Sugar, peanut butter, pancake mix, syrup, coffee, drink mixes, powdered milk, mac and cheese, cereals, spaghetti sauce, etc. To learn more about our benevolence ministry, or to find out how you can help, you can contact our Benevolence Director, Dorcas Fischer, at dfischer@capstone.church! Mercy Heart is a support ministry for families of inmates & ex-offenders that meets every Thursday night for dinner, worship, & Bible study from 6:00pm-8:00pm! Mercy Heart operates with the intention to win the war on family disintegration due to incarceration by restoring hope through Jesus Christ. Transformation spiritually, relationally and materially through the ministry of Christ. Sometimes there is a fear of embarrassment to cope with when a family member is incarcerated. It seems as though all of life comes to a stand-still, and families often seek to escape friends and associates at a time when friends are needed the most. At Mercy Heart you are free to come and pray, worship, and be cared for without any fear that someone will pry into your private concerns. You will be accepted completely for who you are when you come, greeted by people who want to be your friend, and loved by people who want to share in your deepest suffering. The uncertainties of life with a family member in prison can cause many setbacks mentally, emotionally, and materially. Let us help you! For more information, you can contact us here, just be sure to mention Mercy Heart and we will get you connected where you need to be. We gather eight times each month at the Union Gospel Mission to minister to those in need. On each 1st and 3rd Thursday we are welcomed by elderly in need of the love of Christ. We join together and sing hymns and minister through prayer. If you have been gifted in this area and would like to join us, call the church office at (817)336-2687. In 2018, God gave us the vision to begin shifting our focus more towards making an impact on the homeless community of Fort Worth. For the past year now, we have fulfilled that vision and are continuing to grow even more this year! We meet on the 2nd Saturday of each month at the church and depart at 8am to go minister to the homeless. 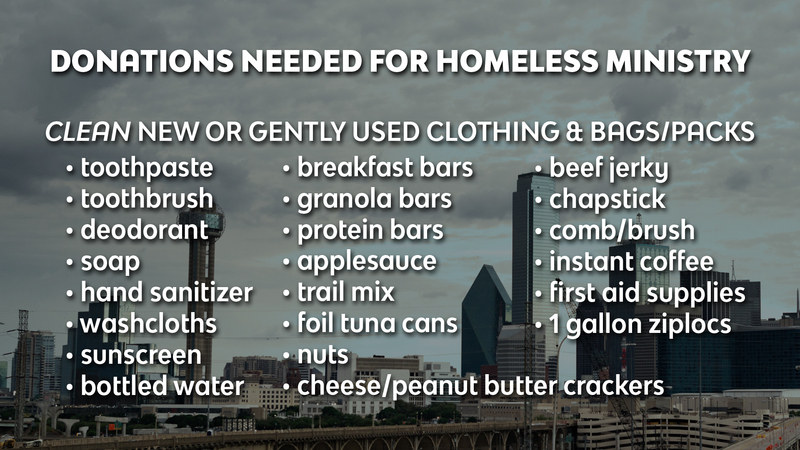 We would love to have you on our team, and even if you can’t join us each month, we love to get donations to bless these people! Located: Eastern Africa, based in Kenya. Ministry focus: church planting, education, orphanages. National Call to Prayer has been in existence since 1979. NCTP established the National Prayer Embassy in Washington D.C.
Ministry focus: Rescue children who have been orphaned, reach out to women who have been victims of domestic violence. Ministry focus: Pregnancy and parenting classes, pregnancy tests and post abortion counseling. Every year, Capstone Church seeks to travel the globe and enter the missions field to make an impact on different communities and share the Gospel with the world! For 2019, we will be going on a trip more focused on our team experiencing God as we tour the Holy Land of Israel! It is such a unique and gratifying experience seeing the Bible come to life before your eyes, and you should definitely consider joining our team this year. Check out the webpage for our Israel trip here which explains all the information, the full itinerary for the trip, and where registration & payments will take place, which you can do at any time! If you have any questions or concerns about anything related to missions, you can contact our Missions Director, Rhonda Cobern.